April | 2013 | mookology. Mook Review: “The Great Gatsby” Part One – Guest Post! The lovely Stephanie of The Anxiety of Authorship has offered her pen to a guest mook review – a two part piece focusing on “The Great Gatsby.” I am so excited to present her first mook review – please keep an eye out for her follow-up review of Baz Luhrmann’s take on the classic novel. 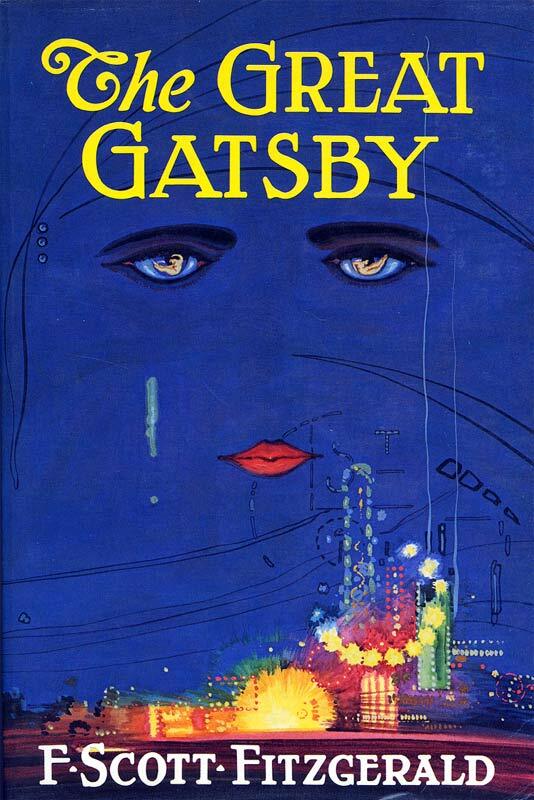 The first time I ‘read’ The Great Gatsby was for my eleventh grade honors English class. My teacher didn’t really spend much time on it–I just recall a few class sessions where my friends and I laughed at the name “Dr. T.J. Eckleburg” and repeated the phrase “old sport” a lot. Because my teacher told us we didn’t have to worry about a quiz or a paper, I never actually finished it (*older self scowls at younger self*). I decided to revisit this novel now, after four years of literary study in college, and after finding out there is a Great Gatsby film re-make coming out on May 10, 2013. The Great Gatsby is a classic for a reason. F. Scott Fitzgerald’s simple yet beautiful prose tells a unique story of love, tragedy, and social class differences with memorable characters–memorable even just by their names; Jay Gatsby, Nick Carraway, Daisy Buchanan, Meyer Wolfsheim, etc. The story has just enough action and drama to keep readers going, and just enough meditation and pace to give readers pause. From a writing perspective, I know it’s not ideal to have a main character just act as an observer, but Nick Carraway is an exception to that rule. We only see glimpses of his opinions and personality, despite the story being from his point of view, but this creates him as a mysterious character rather than a boring ‘observer’ protagonist. There is one very steam-of-consciousness paragraph at the end of chapter two that really catches my interest. I think it implies that Nick wakes up in bed with a man after a drunken night in New York City. This small group of sentences is especially surreal and unexpected in comparison to the rest of the realist writing throughout the novel. Maybe Fitzgerald was just experimenting, but I am so intrigued. Overall The Great Gatsby is such a well-told story that, despite the decades that have passed between its first publication and now, has managed to remain original and iconic. Although not my number one favorite, I rate it five stars. This generation might not be aware, but there have already been five previous film adaptations of The Great Gatsby–in 1926, 1949, 1974, 2000, and 2002. Since I could stream the 1974 version via Netflix, I decided to focus on that film for this Mook Review. 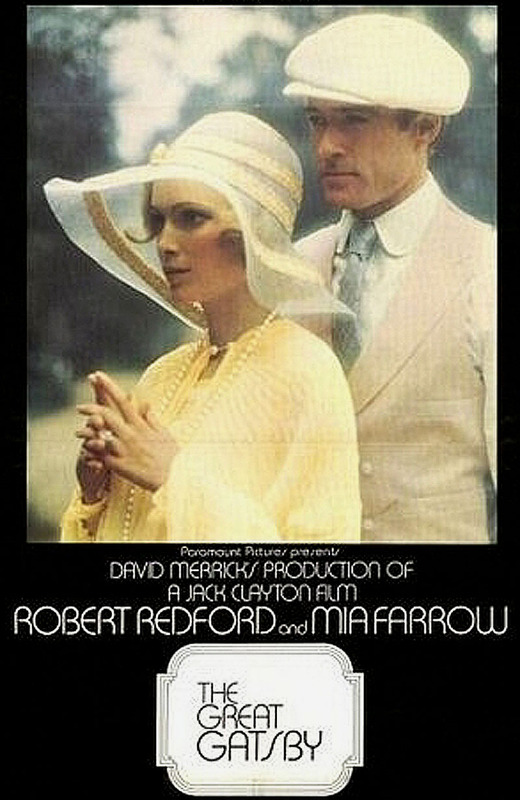 The 1974 “Great Gatsby” film is easily the most famous, starring Robert Redford (a perfect Gatsby) and, unexpectedly, a young Sam Waterston (from the original “Law & Order”) as Nick Carraway. The film starts off quite slow, panning Gatsby’s mansion and Daisy’s vanity during the opening credits, but I thought the setting of this mood went on for a little too long. Most movies from that time period begin slowly, so I can’t really give fault to something like that, especially because the film itself was enjoyable and true to the story. I can imagine that viewers who haven’t read The Great Gatsby might become confused at times, though. For example, I don’t think the significance of the green light was clear, nor that of Dr. T.J. Eckleburg’s eyes on the billboard in the Valley of Ashes–yet there were many cuts to show these things. The significance was missing. I appreciated this film’s grittiness. The Great Gatsby takes places during an oppressively hot and humid summer, pre-air conditioning. Everyone, especially Tom Buchanan, is sweating. Sweat rolls down characters’ faces and their shirt underarms are soaked. Adding to that grittiness are rogue flies buzzing around some scenes–and the raw awkwardness some of the characters experience with each other. I really liked this kind of realism. The only thing was, after a while, I still felt like the characters, specifically Daisy and Gatsby, weren’t connecting in a believable way. Maybe that’s the way it should be, though. The book doesn’t make their connection much clearer. This film was a little bit simple and seemed to cater mostly to those who have already read the book , but it was good in general. With that said, I am looking forward to seeing what Baz Luhrmann does with this timeless story. I think it is going to bring attention to the more surreal qualities of The Great Gatsby, hinted at the end of chapter two (as mentioned above). Once I see the new film, I will return with part two of my very first mook review!